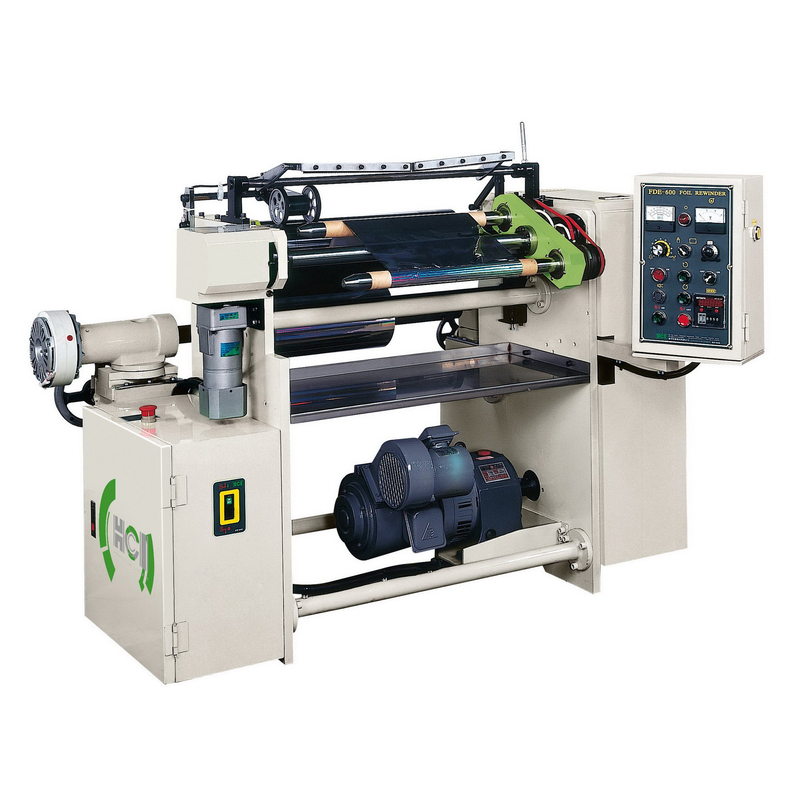 Aluminum Foil Rewinding Machine(FDE) - HCI Converting Equipment Co., Ltd. Designed for rewinding and distributing big rolls of aluminum foil into small ones. Simplified structure and easy to maintain. Swing out type unwind stand with 3” air shaft. Single operator is required to manipulate and load the parent roll. Auto rewinding shafts exchanging mechanism provide the nonstop production. Flexible accommodation of paper cores in various diameters. Equipped with meter counter which can stop the machine automatically when preset length reached. Unwind Core Inner Diameter [m/min] 76 / 3"
Rewind Core Inner Diameter [mm] 1" - 2"